← Help Save Our Schools! Back to School Means It’s Time for New Technology! Every year when back to school rolls around, trying to figure out the best deal on a new laptop, printer, calculator, or tablet can be overwhelming. So let us help! Right now, our merchants are offering great deals on the kind of top-quality technology that’s guaranteed to keep you at the top of your class. 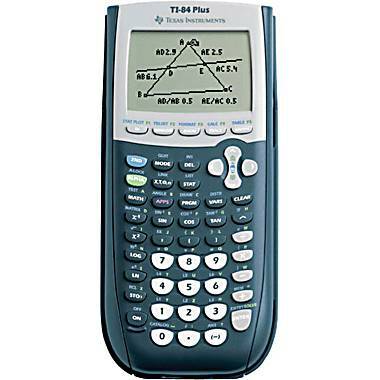 Math will seem a lot less intimidating when you’re prepared with the TI-84 Plus Graphing Calculator. This calculator from Staples is 2.5 faster than the TI-83, and comes with 13 pre-loaded applications to help you in subjects like algebra and graphing. It’s like having a built-in homework helper! You can also save your work and transfer your files to your computer, making sharing and collaborating with friends easy and fun. If you’re going away to college, I can’t stress how handy it is to have a quality printer in your room. It will save you money and a lot of time waiting in line at the library, especially during the stress of finals. This Epson Workforce color inkjet printer from Target is on sale for $129.99, and with its state of the art copying, scanning, and printing features as well as its versatile paper handling capability, this printer is a great investment to avoid the stress of dysfunctional library printers. A quality laptop case is also essential for safe transport of your computer to and from class. This case from Office Depot has additional padded compartments for all your accessories and is durable enough to last through whatever the elements throw at you. When starting a new school year, buying the right technology is a great way to eliminate those classroom jitters and save you time and stress. Shop with our merchants for all the best deals so you’ll be confident and ready to go for that first day!